Tile roof repair are a bit unique. That's because concrete roof tiles are installed on top of what tile roofers call the roof underlayment. "Underlayment" is just another name for the tar paper installed before the roof tiles are installed. 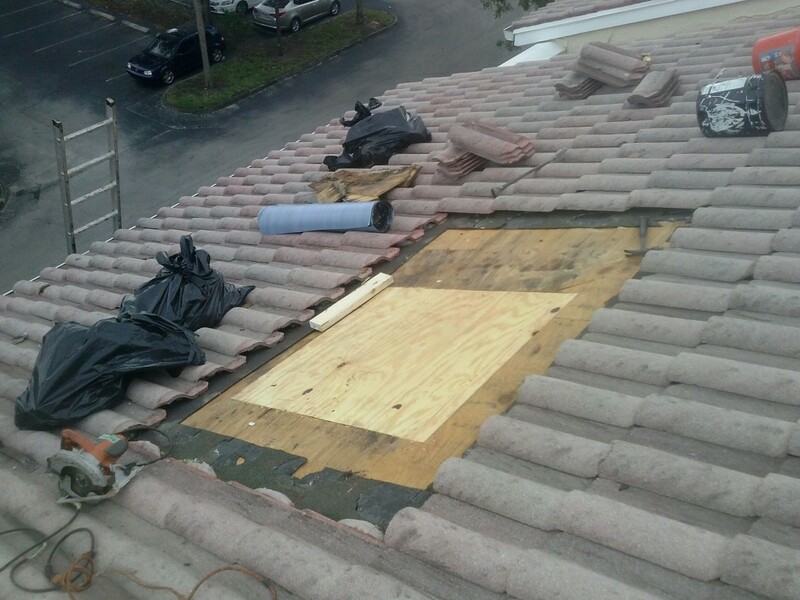 The Florida Building code refers a "roof underlayment" as the "secondary water barrier". So what does that mean? In a perfect world rain would shed across the top of the cement roof tiles only. It would never fall through a crack or gap and run over the underlayment. Well guess what? It does. In fact, it does a lot. Hence the need for a secondary water barrier. Most roof tiles are installed using two nails, through the underlayment, and in the plywood deck. Water traveling over the underlayment, in time, causes the nails to rust. 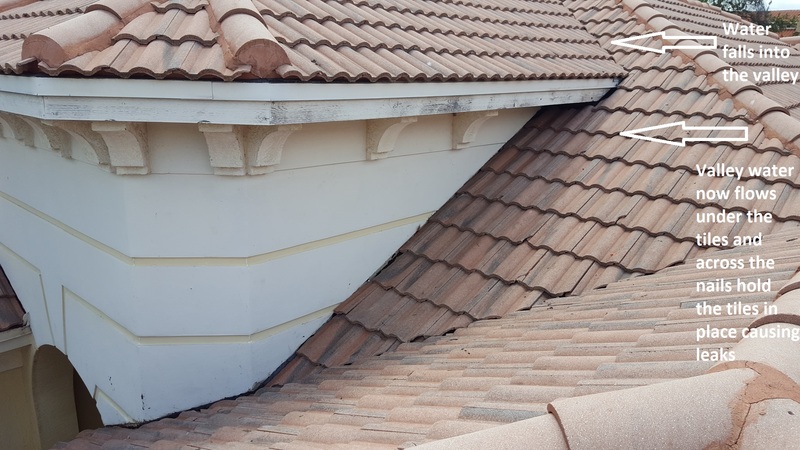 This is the most common cause for tile roof leaks. Why install cement roof tiles this way then? because its less expensive than other roof tile instillation methods. 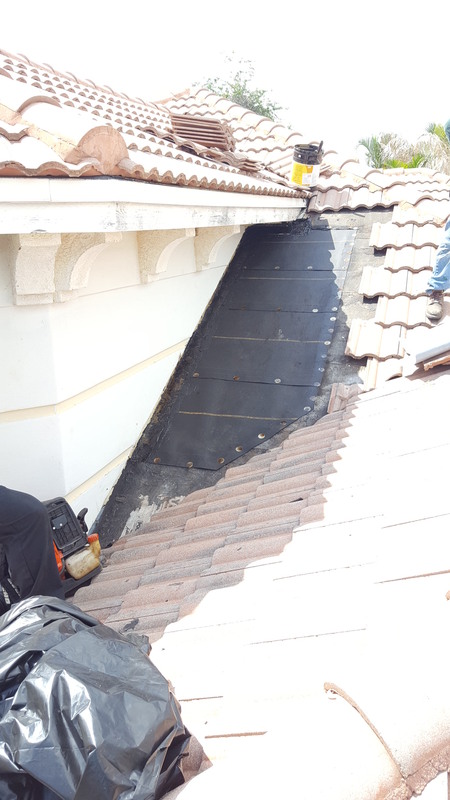 Roof tiles are removed during a tile roof leak repair. The damaged tar paper and plywood are replaced. If the repair is done properly. And then the cement tiles are re-installed. But you can't see the new underlayment after the tiles are re-installed. This is where some tile roof contractors cut corners. instead, they just put a patch over the old tar paper and put the cement tiles back. You really want to make sure this does not happen. Ask for pictures of the new plywood and underlayment. 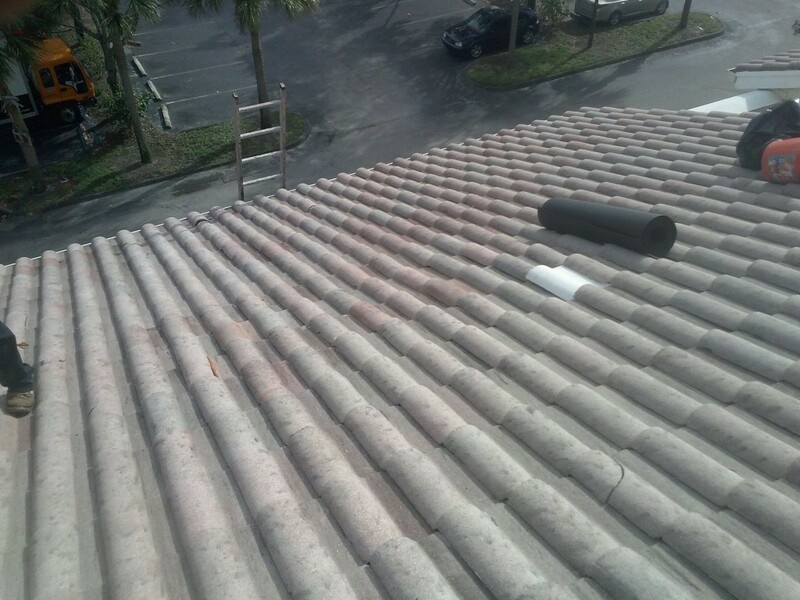 Sun rays, intense heat and harsh weather in South Florida is punishing to your roof. 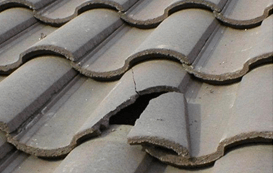 Despite this, your tile roof could last up to 50 years. 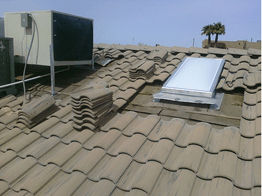 So if your roof is leaking, the contractor you select to fix it is critical. A profession tile roof repair is a must. Some contractors don’t supervise their work. Their crews cut corners by installing a patch over the suspected roof leak. They don't remove the tar paper and check the plywood. All done in an effort to save time and make more money. 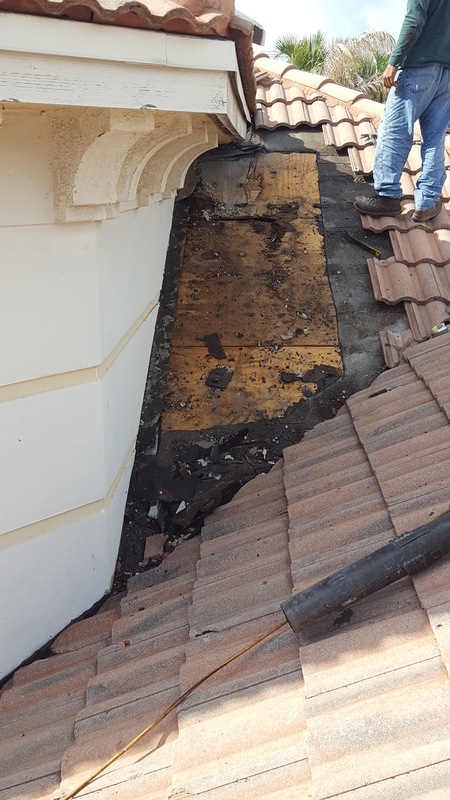 Your tile roof is not going to make 50 years with a repair like that. Don't accept a patch. They cost less, but the leak will definitely return. We won’t do that at Preventive Maintenance Support Services Roofing Company. As experienced roofers, our crews are trained to make your repair properly. We make a thorough repair not patches. These repairs are very complicated and take a three man crew a full day. The slide show demonstrates the tile roof leak repair steps. 1. Remove the roof tiles. 2. Remove the tar paper. 3. Replace any rotten wood. 4. Install new tar paper and tuck in under the tar paper above the patch. 5. Seal the edge of the repair with mastic and membrane. 6. Put the tiles back. What are some Common tile roof problems? 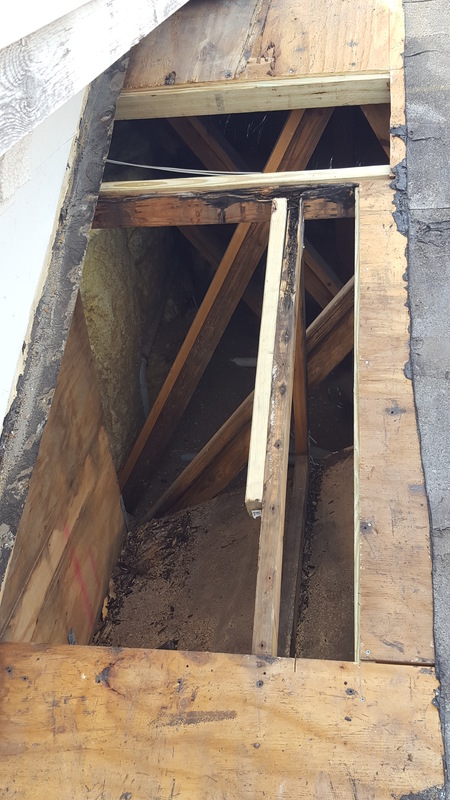 Rotten fascia is almost always the result of a roof leak above and its repair is more complicated than one might think. The roofing and metal flashings have to come off before the fascia can be changed. So, a fascia repair always means that a roof repair above is required as well. Penetrations can be problems when water makes its way under the tiles through the gap around the object. Once water gets under the tiles the same thing happens as in a valley repair. The water runs across the nails holding the tiles and a roof leak begins. 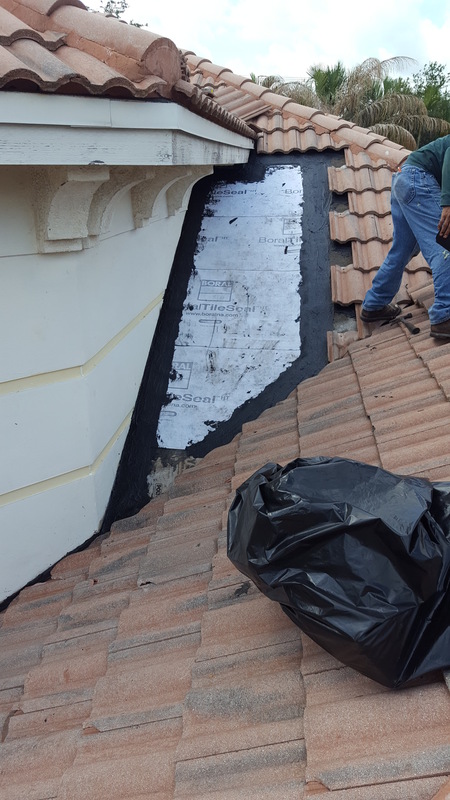 We perform quality installations and restructuring services for damaged roofs.Call us today at (561) 586-5655 for a free estimate on your tile roof repair. This is the wrong way to repair on tile! 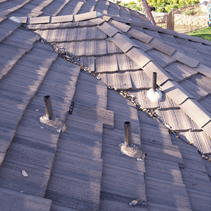 Make sure your roofing contractor wont do this. The picture on right is a patch (not our crew). 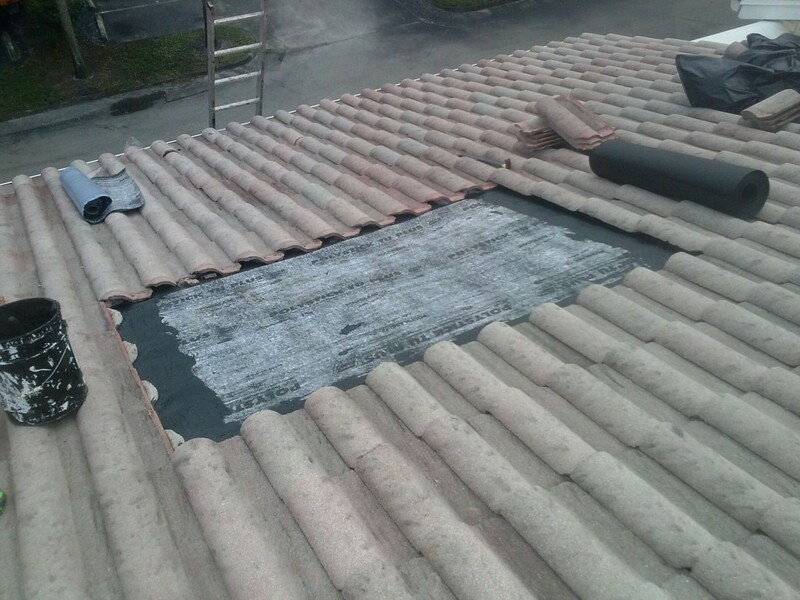 The tiles in the valley were removed and they just put a membrane over the old roof and sealed the edges. About 60 % of the roof leaks we repair have been patched like this in the past. don’t fall for it, its cheaper but it doesn’t work and you wind up paying for it a second time. How can you tell if a contractor wants to try this? MAKE SURE YOUR ROOF WON’T COLLAPSE ON YOU!